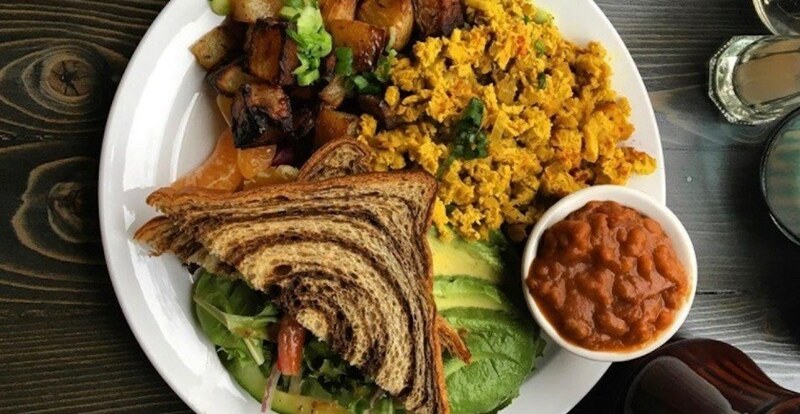 There’s no doubt that veganism is on the rise, and it appears Vancouver is leading the way in Canada. With no shortage of offerings for vegans in the Vancouver area, more people are changing to plant-based diets and the trend is getting noticed. In a newly-released study from Chef’s Pencil, Vancouver landed fourth on the list of cities worldwide most linked with internet searches surrounding veganism. “Vancouver has long been regarded as one of the most vegetarian-friendly cities in North America and Canada,” said the online cookbook in its report. “And veganism continues to thrive in the city – so much so that vegan love has become a stereotype for Vancouverites. This just proves that not all stereotypes are bad, right? The report used data from Google Trends, comparing the proportion of vegan-based searches in a particular location to all Google searches in that same area. A score is then assigned, representing the interest level of that area. Looking at countries, Canada placed fifth on the list after Australia, UK, New Zealand, and Sweden. The growth of plant-based diets in Vancouver is evident simply by the increasing demand for vegan restaurants and food options, but the data shows that veganism is also on the rise worldwide. According to Google, searches related to veganism in 2018 have risen 11% over the previous year across the globe. A recent survey by Dalhousie University found that three million Canadians identify as either vegetarian or vegan, and that young people are three times more likely to shun meat options than older generations. All signs point to continued growth and interest in veganism in 2019. Sport fan, photographer, and travel enthusiast.